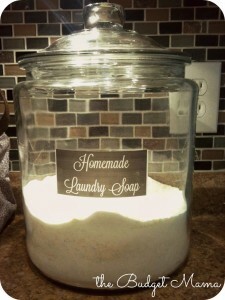 I just love my homemade laundry detergent! Even my husband does – who was extremely skeptical at first. 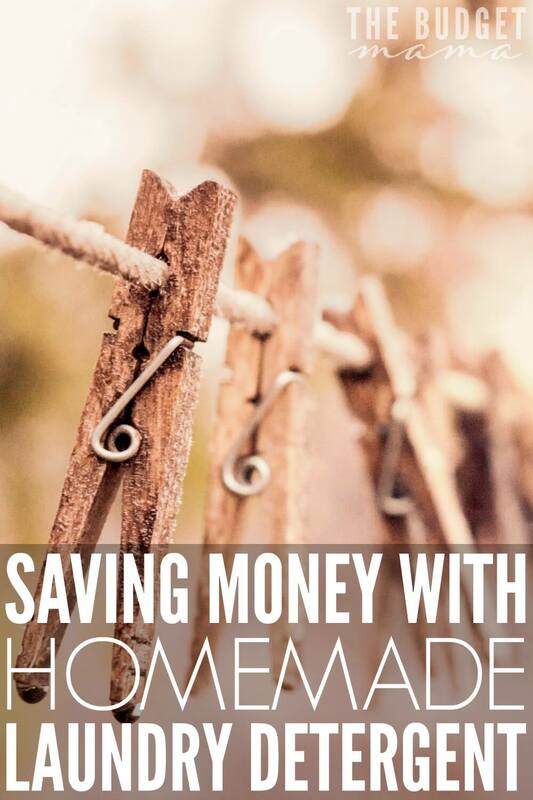 If you’ve been considering making your own laundry detergent to save you money but you are worried about a family member being allergic to it, you could do what I did. I saved a small portion of my store bought laundry detergent so I could rewash clothes if someone turned up allergic to the homemade stuff. I only saved enough to do two loads and to be honest I still haven’t used up that store bought stuff. The recipe for this detergent is not my own. It can be found all over Google and it’s probably the same one that your grandmother or great-grandmother used as this stuff has been around for a while! I prefer the powdered version of this detergent because to be honest, I’m too lazy to do the extra step require to make it liquid. Mix in a large container and cover with an airtight lid. Directions for use: Add two heaping tablespoons to each load of laundry. You will need less with an HE washer. **Read your HE washer’s manual to be sure you are using powder detergent correctly. All the supplies needed to make this batch cost me $15 at my local Walmart. I was averaging purchasing a new bottle of detergent every two weeks and in 3 months I would have spent $30 on laundry detergent. 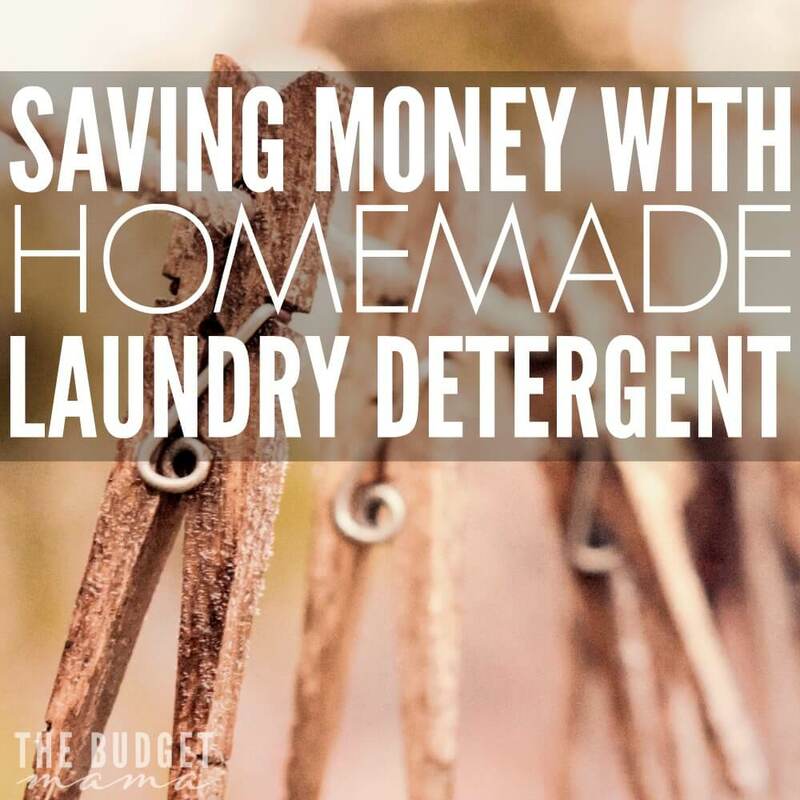 Not only have I saved $15 so far but I’ve still got a LOT of detergent left to use! 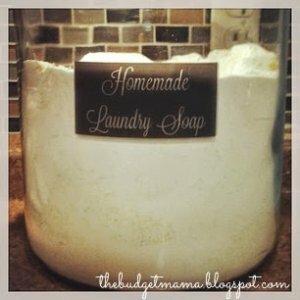 I’ve thought of making my own detergent before but haven’t gone for it for the reason you mentioned– my son has eczema and I am always afraid his skin will break out. But I’m guessing your little one hasn’t had problems with it since you’re still using it? I may have to give it a try! Thanks for the great tips, Jessi! 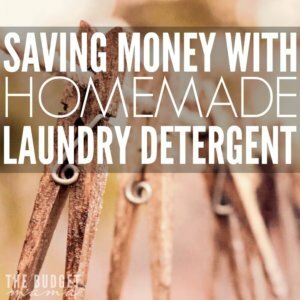 I started making my own detergent earlier this year and while I am not tracking how much I have saved, I know I have saved plenty. We do a ton of laundry here because of kids sports. I have gone through a few batches of homemade liquid and 1.5 jars of dry. I have eczema and so far have seen no change in what my skin is doing. I’m definitely going to continue making my own! 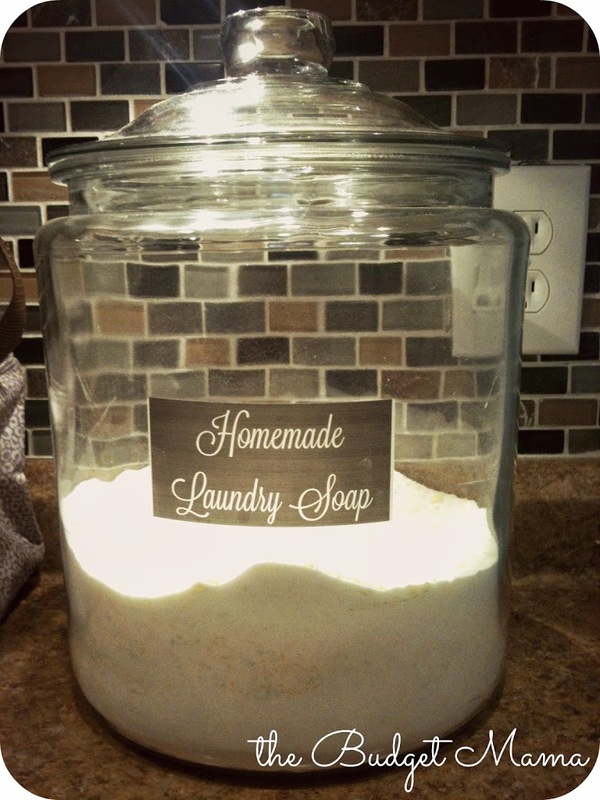 Where did you get the label and jar for your homemade soap? I’m a new reader of yours as of yesterday, and I’m officially hooked!!!! So happy I stumbled upon your blog, it’s exactly what my family and I needed to get us back on track financially!!! Thank you! Thank you Jessica! 🙂 I got the jar at Walmart over in the kitchen/pantry section and the label I made. I just used a clear shipping label and used the fill in background option in word to make it black and changed the font color from black to white. I buy mine at Wal-Mart. Our Wal-Mart has everything you need all together on the same shelf. You can also get it on Amazon – its made by Arm & Hammer. Pinned it! I’m definitely trying this out, and SOON. I’m a new follower via bloglovin. Happy SITS Day to you! Great idea!! Is this kind good for HE washers? Going to try this on payday. I’ve been using the dollar store laundry detergent so depending on the price and how long it lasts for me. I love the fact you can now do most stuff from home and not the store. What size is the glass jar? I have found 1 gallon, 1.5 gallon and a 2 gallon but not sure what size I will need for this laundry recipe. This one is a 2 gallon but I think you’ll be fine with the 1.5 gallon. This recipe doesn’t fill up the jar all the way. Does this laundry detergent get stains out well? What do you use for a stain remover? Are you able to mix it in the jar you are storing it in, or do you have to mix it in another container? How do you shred the soap?